Here is a sample of what I will be selling at MuseFest! 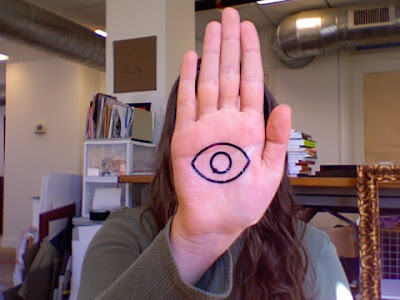 I will not be selling my hand. This weekend, you should make sure to come to MuseFest! It is going to be good. I incorporated images that relate to Carolina Ethanol's history, purpose, and methods. The border tile image is of Sargassum, a kind of floating seaweed, which is what Mr. Gardner is researching to make ethanol from. The buildings are on a street in Charleston, SC, which is where the Sargassum is being cultivated in pools, and will be cultivated off the coast in the future; and where the business will move when the research progresses far enough. For the most part, the other imagery is marine-themed: the seaweed will eventually be grown in the sea. Veremos Terra ("We will see land") ...well, Mr. Gardner told me something like this: Christopher Columbus had been sailing for a long time and he declared he had faith that the journey would end someday, that they would see land. At least that's what's in my memory. I'll edit this if I get a better explanation. 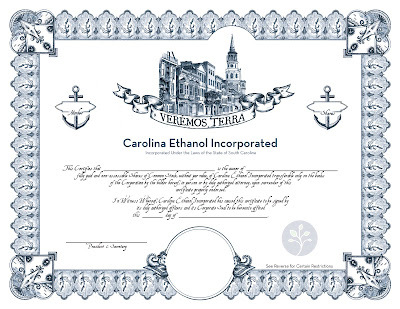 For Carolina Ethanol, it's referring to the idea that we are on a treacherous journey in a fallen world, and we have faith that someday, our ship will be guided by the hand of God to a Promised Land. 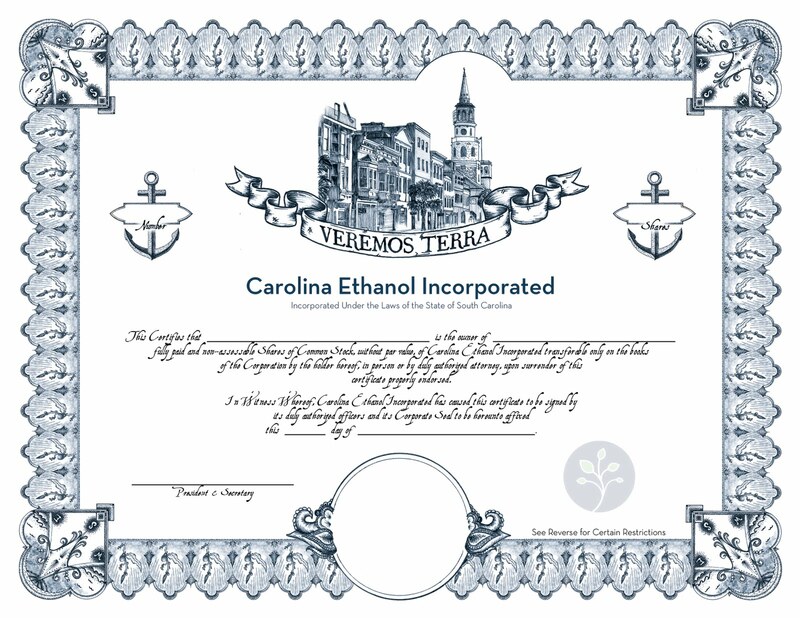 The empty circle at the bottom will hold the seal of Carolina Ethanol, embossed by hand. Photo of the real thing signed & stamped forthcoming. I might post others from time to time. I usually draw with Prismacolor pencils on a medium-value matboard or paper, usually a chromatic gray or something between brown and another color. 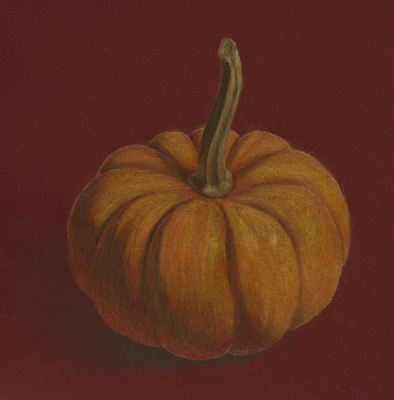 (Brownish pink, for example) All the drawings were made in 2 hours or a little less. 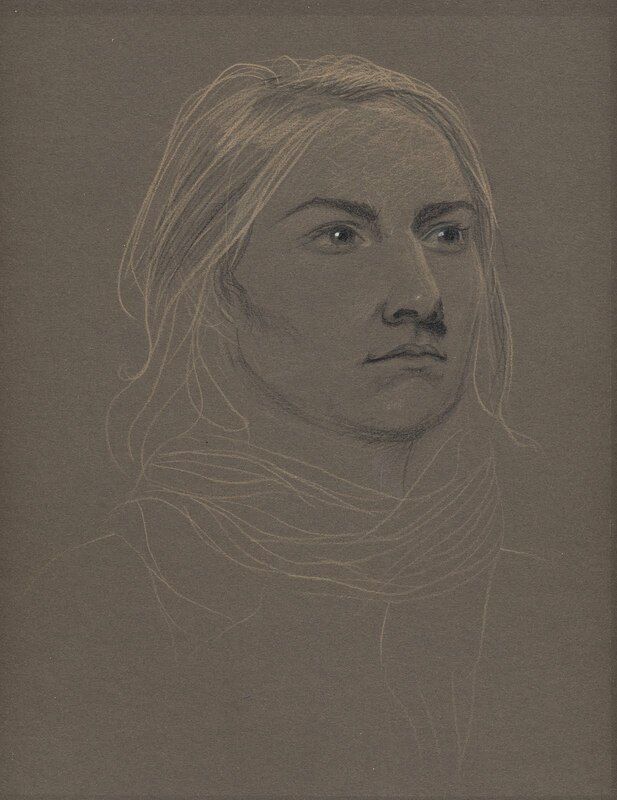 After doing enough of these drawings I've noticed that I'm about twice as fast as I was when we started practicing. 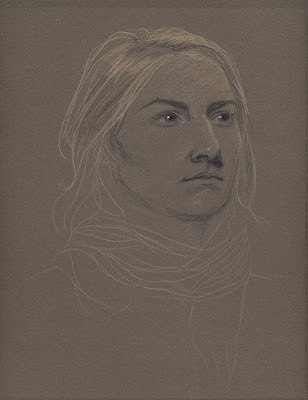 I used to not even get both eyes in, much less something indicating the shoulder, values, much development of the hair. I'd say this has been a pretty valuable weekly exercise for me.